The menu was peppered with familiar names – chicken rice, Nasi Lemak, rojak, fish maw, kaya toast. Therefore, my brain immediately conjured up images of the food I had for lunch or dinner from last week. 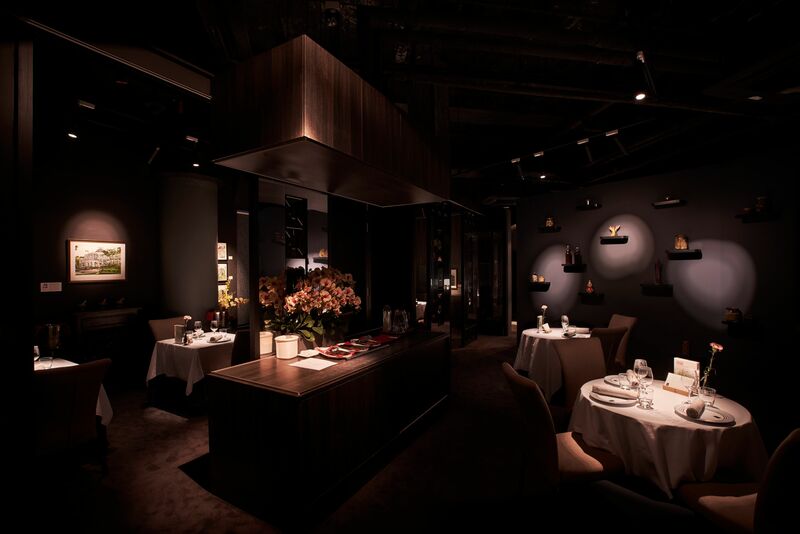 But once Labyrinth’s wait staff placed the dishes in front of me, followed by Chef Han Li Guang’s explanations, and finally, the first bite, I realized that this was going to be a dining experience unlike any other. 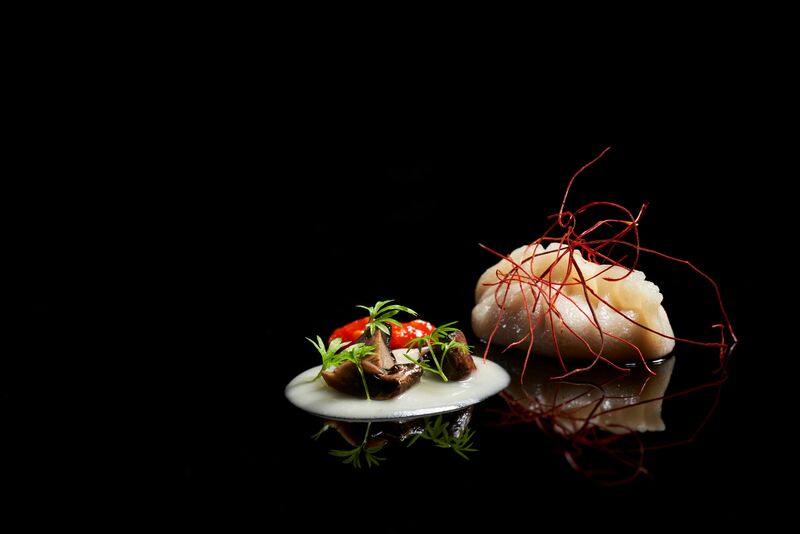 Labyrinth’s new Experience Tasting Menu, “Homage to My Singapore”, is like a beautifully penned love letter from Chef Han, where he draws from fond memories of his childhood and culinary experiences that have shaped his sensibilities. 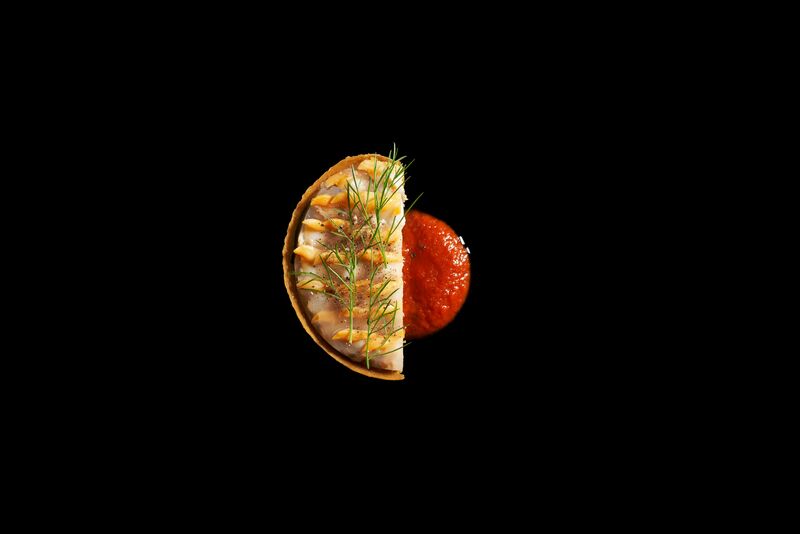 He honors locally sourced produce and lets them shine without compromising their natural flavors through overly complicated techniques. Honey is surprisingly tangy, local vegetables and herbs a bit earthier, and seafood slightly smaller, but bursting with sweetness. The meal starts with playful bites like the “Nasi Lemak” Cheong Fan, which exhibits the unmistakable flavors of the breakfast dish in a single bite, as well as the Heartland Waffle, which, according to Chef Han, is his take on the PrimaDeli favorite – pandan-flavored waffles slathered with local duck liver pate and goji berry jam. Meanwhile, the Labyrinth Rojak is a beautiful jumble of seasonal vegetables and edible flowers from Edible Garden City, tossed with tart stingless bee honey and ground peanuts. As the menu progresses, Chef Han’s creativity grows, particularly in dishes like “Ang Moh” Chicken Rice, which captures the simple yet complex flavors of a plate of chicken rice in a single dumpling. The Local Wild Caught Crab is equally exciting too, with sweet flower crabmeat paired with Labyrinth’s infamous chili crab ice cream. 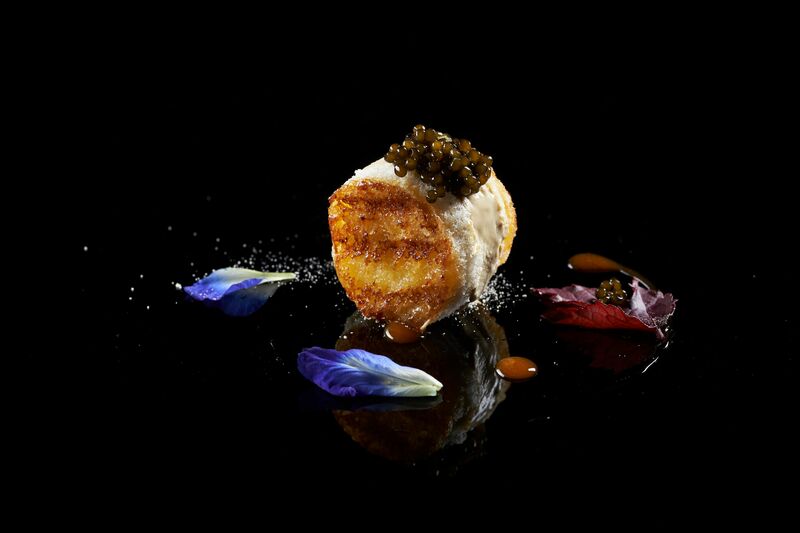 Of course, what is a Singaporean food experience without kaya toast, so expect the Cristal de Chine Caviar dessert to wow you: Kaya ice cream sandwiched in between Sin Hon Loong toast, topped with caviar and drizzled with a sweet egg yolk sauce. You know that distinct savory Japanese flavor, the whisper of umami that comes ever so subtly as you tuck into a bowl of sukiyaki or ramen? You have dashi to think for that, which is also known as “the broth of life”. 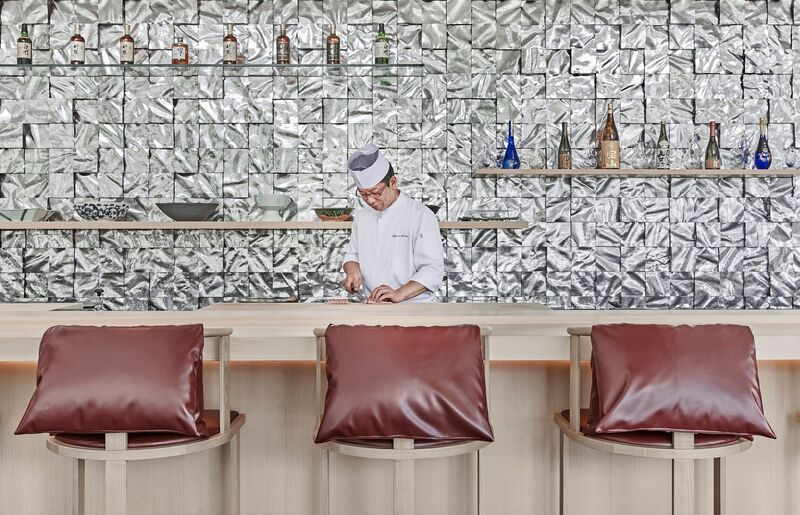 At Shangri-La’s NAMI, you’ll discover that dashi is the backbone of Japanese cuisine and is responsible for enhancing and enlivening the flavors of Japanese dishes. 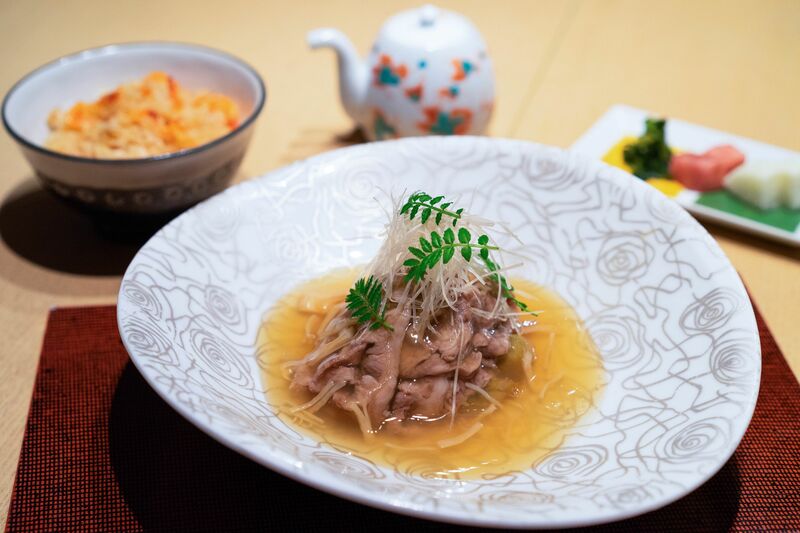 The ancient broth is both simple and complex, where an assortment of ingredients like kombu, bonito flakes, dried fish, and even mushrooms are skillfully used and layered by Chef Shigeo Akiba. 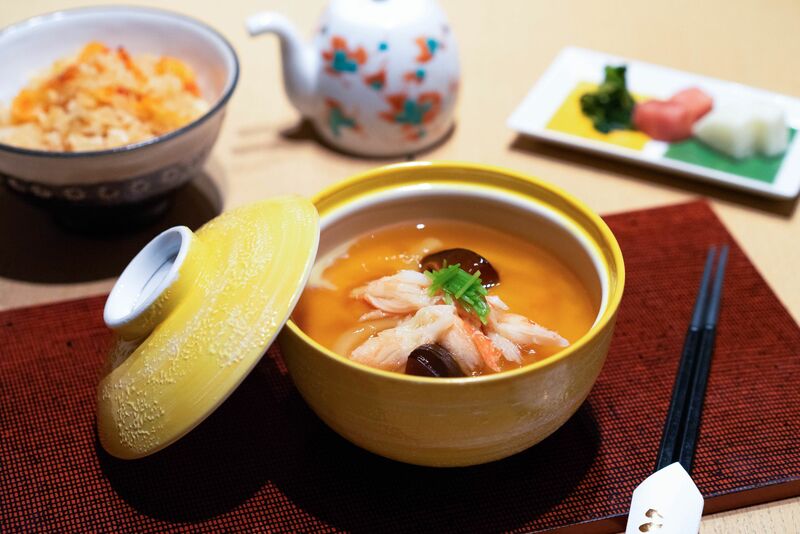 With Chef Akiba’s expertise, NAMI has developed eight types of dashi used across different dishes, which include clear soups, chawanmushi, and seafood and meat offerings. To fully appreciate the magical broth, NAMI introduces its special Dashi Menu, which is comprised of a medley of small appetizers and follow by Hamaguri clam soup, seasonal sashimi with two sauces, a savory egg custard with udon noodles, crab, and shiitake mushrooms, Miyazaki beef loin, and Sakura shrimp rice with miso soup. Even the dessert on this menu features dashi, which does wonders for the fruit cocktail with plum vinegar jelly stock. 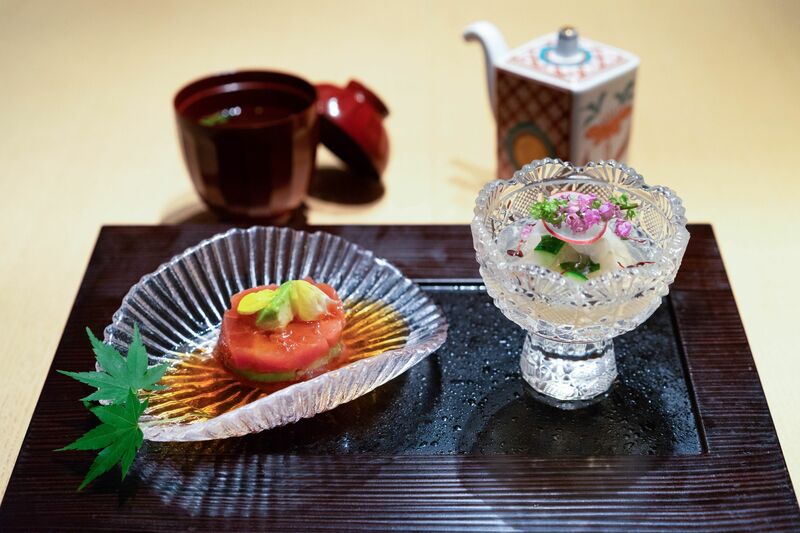 Beyond the Dashi Menu, NAMI’s flavorful broths can still be experienced through signature dishes, which include the Pan-fried tuna head with sweet soy sauce, Japanese Saga wagyu beef sirloin A4, sea urchin, rice, and Chef Akiba’s special sauce and seasonal truffles. 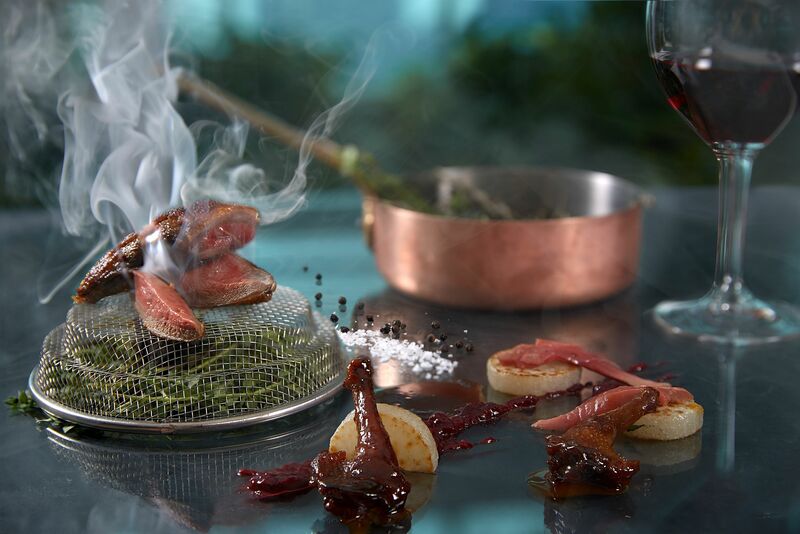 Zafferano, which is located on the 43rd floor of Ocean Financial Centre, is a restaurant that offers more than just excellent — and reliable — Italian food. It’s a place you bring people to when you want to impress. As soon as you step in, it’s not hard to be in awe of the luxurious interiors and hard-to-beat panoramic views of Singapore. 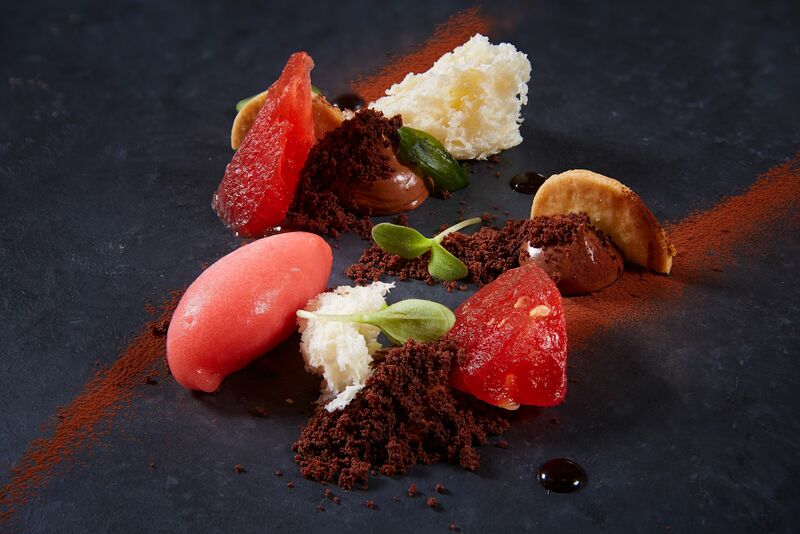 But after a few years of being in business, Zafferano has decided to shake things up and this is where new Head Chef Emanuele Faggi comes in. 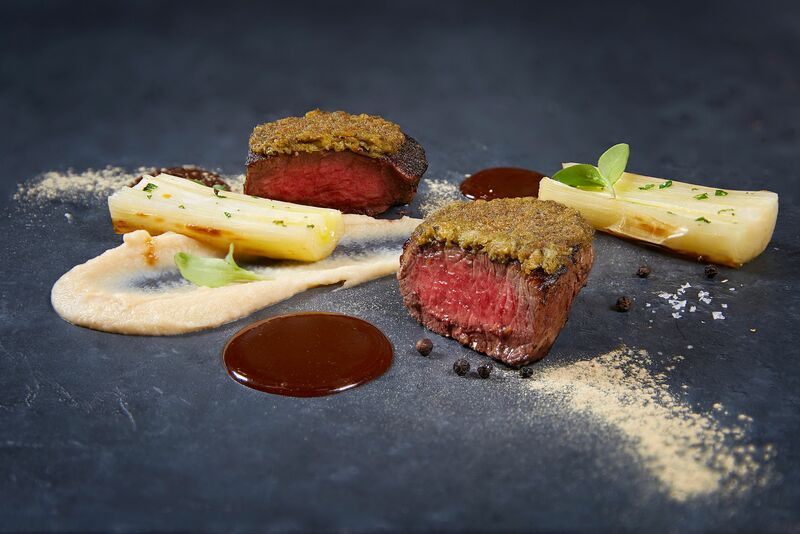 While young, the Tuscan native was in good company before heading to Singapore – an internship with Chef Gualtiero Marchesi at the famed L’Alberta Resort, a stint at 2-Michelin-starred Cracco Ristorante, and learning alongside Chef Carlo Cracco. 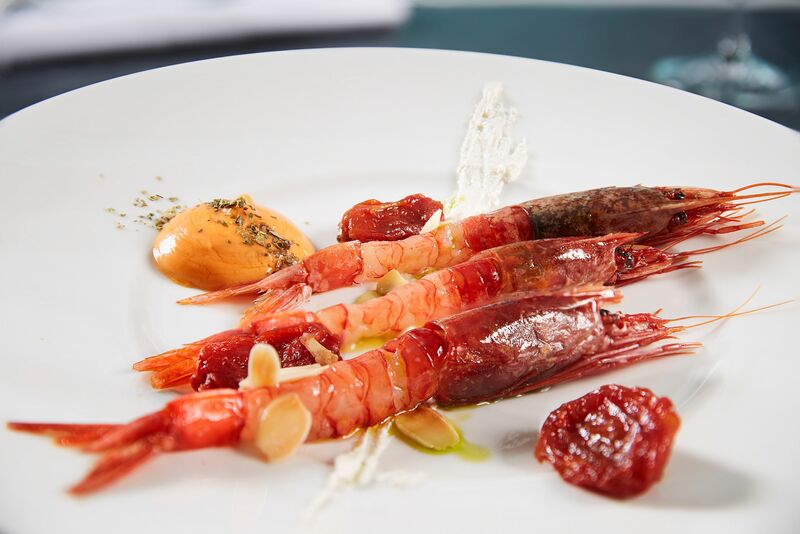 So at Zafferano, the name of Chef Faggi’s game is regional, yet innovative, where he upholds tradition, while introducing his own personal touch. Shining examples of the greatest hits from the new menu include raw red prawns from Mazara served with warm ricotta, tomato confit, and cocktail sauce espuma, as well as the indulgent “super fino Carnaroli Acquerello” risotto from Verceli with saffron, bone marrow, and 24-karat gold leaf. Chef Faggi has his way with meats as well, starting with the Queensland farm rack of lamb that’s paired with eggplant purée, sautéed bok choy, and coffee powder, 150-day grain fed black angus beef tenderloin that’s gratinated with liquorice and capers, and finally, the incredibly flavorful roasted “Bresse” pigeon with mixed berries and rosemary smoked white turnips.